Most U.S. farms are family operations, and even the largest farms are predominantly family-run. Small farms are less profitable than larger farms, on average, and their operator households tend to rely on off-farm income for their livelihood. Generally speaking, farm operator households cannot be characterized as low-income when both farm and off-farm incomes are considered. Small family farms dominate the farm count, but midsize and large-scale family farms account for the bulk of farm production. Information on the different kinds of farms—and the farmers who operate them—is important for understanding the economic wellbeing of farm households and the implications of farm policy. 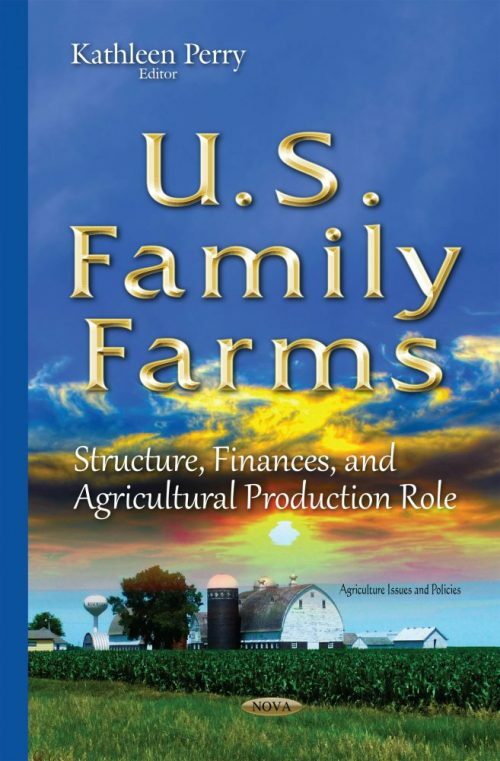 This book proves accurate, detailed, and unbiased information on the structure and finances of U.S. farms, including the relationship of farm size and type to agricultural production, financial performance, sources of farm household income, and the extent of off-farm work. The book provides a sense of the financial position of family farms in general and of different types of family farms.